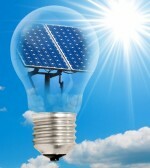 Solar PV panels contain cells made from layers of a semi-conducting material, such as silicone. An electric field is created across the layers when light falls upon the cells. The stronger the sunshine is the greater the yield of electricity. PV cells have a power rating, kilowatts peak (kwp), which is the rate at which it generates electricity with optimum conditions. 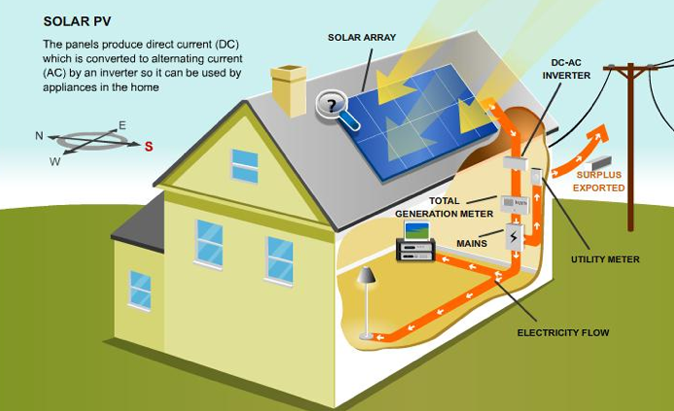 Solar pv systems costs vary between £5000 and £10000 per system. An average domestic solar pv system has a rating of 3.5 to 4kwp and will cost around £7000 with a 5% VAT rate included. Something that needs to be noted though is the more the electricity the system produces the more it will cost: but savings will be greater. On average a 3.5kwp solar pv system can generate 3000 kilowatt hours of electricity per annum, which equates to 3/4 of a typical households requirements. The same system could save over a tonne of carbon dioxide per annum. Once you've paid the initial fee for the solar Pv installation your electricity bills will be reduced if consumption remains the same. Government 'feed-in tariffs' pay you for the electricity you produce, even when you use it. Excess electricity can be sold back to the grid. Reduced emissions/carbon footprint-a typical solar PV system could save a tonne of Co2 per year. How much money will I Save ? If you purchase a solar pv system that is eligible for the Feed-in Tariff scheme you could create savings and income of around £645 per annum.